Keysight Technologies (NYSE:KEYS) is a global electronic measurement technology and market leader helping to transform its customers’ measurement experience through innovations in wireless, modular, and software solutions. Keysight’s electronic measurement instruments, systems, software and services are used in the design, development, manufacture, installation, deployment and operation of electronic equipment. ETS-Lindgren is an international manufacturer of components and systems that measure, shield, and control electromagnetic and acoustic energy. The company’s products are used for electromagnetic compatibility (EMC), microwave and wireless testing, electromagnetic field (EMF) measurement, radio frequency (RF) personal safety monitoring, magnetic resonance imaging (MRI), and control of acoustic environments. Narda Safety Test Solutions is the worldwide leader in Research & Development of EMF measuring equipment and holds 95% of all patents for EMF measurement. Our enterprise was created in 2000, when Narda, a Division of L-3 Communications based in New York, acquired Safety Test Solutions, a product group of Wandel & Goltermann. Founded in 1872, TÜV Rheinland is a global leader in independent testing, inspection, and certification services, ensuring quality and safety for people, the environment and technology in nearly all aspects of life. As leaders in the EMC industry since 1954, we at Elite take pride in the capabilities of our chambers and equipment, as well as, pride in our staff’s depth of knowledge and dedication to our customers. If accuracy, efficiency, and cost-effectiveness are things that you look for in EMC and Environmental Testing and Certification, think Elite. Since 1989, WLL has been providing EMC, Wireless, Product Safety and Environmental test and measurement, product compliance and engineering solutions to the Telecommunications, Medical, Industrial, Consumer and Aerospace/Defense sectors. Our test laboratories specialize in EMC, EMI, RF, Product Safety testing, Environmental testing, and EMC compliance engineering. EMC FastPass’s sole mission is to help electronic design companies get through EMC and RF certifications faster and cheaper. Würth Elektronik operates internationally with its three company areas in various markets: Electronic & Electromechanical Components; Circuit Boards; Intelligent Systems. Since 1958, Microwave Journal has been the leading source for information about RF and Microwave technology, design techniques, news, events and educational information. We annually organize and run European Microwave Week plus the M2M Zone and RF/Microwave Pavilions at CTIA International. Premier industry choice for global Product Compliance, Wireless Testing & Certification Services. 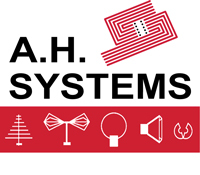 Specializing in Certification to the Wireless / RF Standards of the FCC in the US. KC Standards for Korea Radio, Industry Canada Radio Standards & ETSI Standards for the CE Mark.